The Bangladesh Nationalist Party (BNP) is staging a rally in the capital to press home the party’s demands for immediate release of its Chairperson Khaleda Zia from jail and her better treatment. 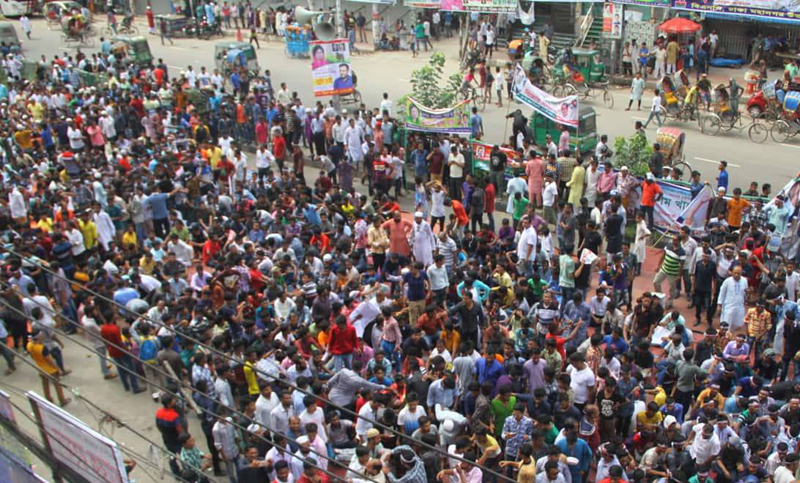 As per the schedule, the rally has started in front of BNP’s Nayapaltan central office in the city around 3:00pm with the presence of thousands of leaders and activists of the party. According to BNP Senior Joint Secretary General Rizvi Ahmed, the Dhaka Metropolitan Police (DMP) gave permission to the party to hold the rally upon 23 conditions. Earlier on July 15, the announcement of holding the protest was made at a press conference. Ruhul Kabir Rizvi informed that separate rallies have also been simultaneously arranged across the country for the same demand. The BNP chairperson has been jailed since Feb 8, following her conviction in the Zia Orphanage Trust graft case. The party has been demanding her release and treatment in the United Hospital in the city, claiming Khaleda Zia being severely sick.